Eight undergraduate and graduate students in the College of Science were delighted to attend the Society for Advancement of Chicanos/Hispanics and Native Americans in Science (SACNAS) national conference last week in Salt Lake City, Utah, October 19-21, 2017. Thanks to generous alumni and friends, the College was able to support these students on their travels and participation at SACNAS. SACNAS, the largest multicultural and multidisciplinary STEM diversity organization in the nation, has a mission to help “our country live up to its potential” by making sure that more underrepresented students attain advance degrees, careers and positions of leadership in STEM fields. SACNAS offers a unique opportunity for underrepresented students to network, bond with peers, practice their science communication and other professional skills and make connections that can lead to jobs, graduate school, internships and career opportunities. This year’s group of students from the College of Science included two national SACNAS travel scholarship winners, biology major Mamo Waianuhea and chemistry major Marissa Gallegos, who is an OSU SACNAS chapter officer. OSU research was showcased by Waianuhea, who presented a poster, and biochemistry and biophysics graduate student Nicole Hams, an oral research presenter. Chemistry graduate student Ana Arteaga also attended in addition to undergraduates Trisha Chau, SACNAS chapter officer and biochemistry and molecular biology student; Oscar Hernandez, biochemistry and molecular biology student; Selena Carrizales, SACNAS chapter officer and microbiology student; and Aimee Nguyen, SACNAS chapter officer and biohealth sciences student. “Not only did I present my poster, receive feedback from admission deans of professional schools, get my applications sent directly to the managers of companies, and hear inspirational speeches, but I was able to become good friends with my peers,” said Chau. OSU also sent 14 other students from the Colleges of Agricultural Sciences, Public Health, Liberal Arts, and Engineering. SACNAS 2017 featured three days of cutting-edge science, research, training, mentoring and cultural activities for scientists at all levels and disciplines. This year, the conference attracted over 4,000 participants who enjoyed more than 1,000 student research presentations, 350 exhibitors, and 100 professional development and scientific sessions. 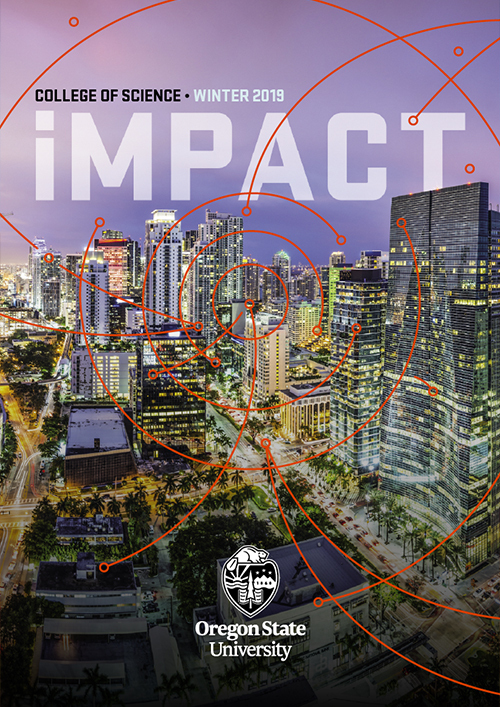 In addition to offering a unique opportunity to underrepresented students in STEM, the annual SACNAS conference helps universities recruit diverse students to their STEM programs and summer research opportunities. OSU hosted five recruitment booths at SACNAS and connected with hundreds of students who signed up for more information about its STEM graduate programs. 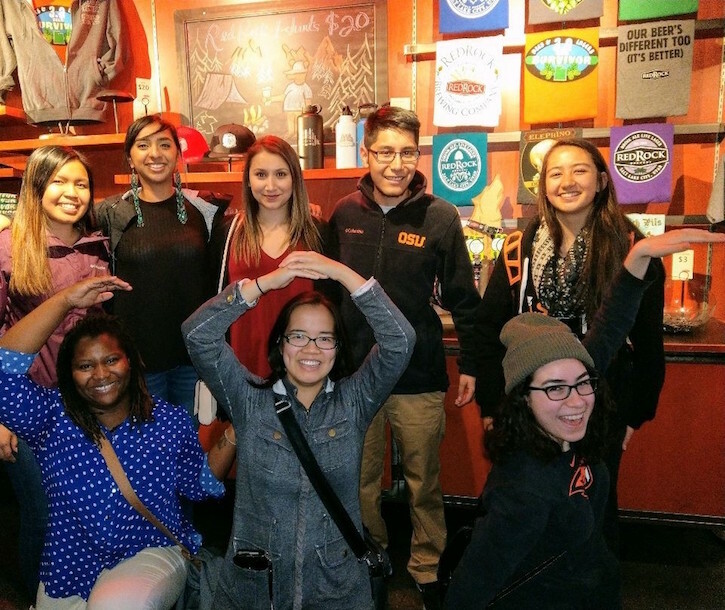 To learn more about OSU’s SACNAS chapter and how to get involved or support its mission to advance Chicanos, Latinos, Native Americans, Alaska Natives, Native Hawaiians and other underrepresented minorities in science, visit the chapter’s website. Photo: Top left to right: Aimee Nguyen, Selena Carrizales, Ana Arteaga, Oscar Hernandez, Mamo Waianuhea. Bottom left to right: Nicole Hams, Trisha Chau, Marissa Gallegos.